In U.S. Patent Application 20100081351, Korea Advanced Institute of Science And Technology (KAIST) (Yuseong-ku, KR) inventors disclose a method for fabrication of porous carbon fibers from starch. The porous carbon fibers have a great amount of mesopores and the porous structure is readily penetrable by an electrolyte. The method for fabrication of carbon fibers from starch through electro-spinning or wet-state spinning is an eco-friendly and economically advantageous and results in a natural polymer with fiber formation resistance. The fabricated porous carbon fiber has high specific surface area and high capacitance, thus it is favorably applicable in manufacturing electrodes for super capacitors or fuel cells according to inventors Soon Hyung Hong, Yong Jin Jeong, Kyong Ho Lee and Chan Bin Mo. The KAIST method produces porous carbon fibers containing a great amount of mesopores having an average diameter of 10 nm by controlling carbonization. Consequently, the porous carbon fibers overcome conventional limitations of existing activated carbon fibers with nanopores of less than 1 nm in large amounts, which seldom allow penetration of electrolyte. 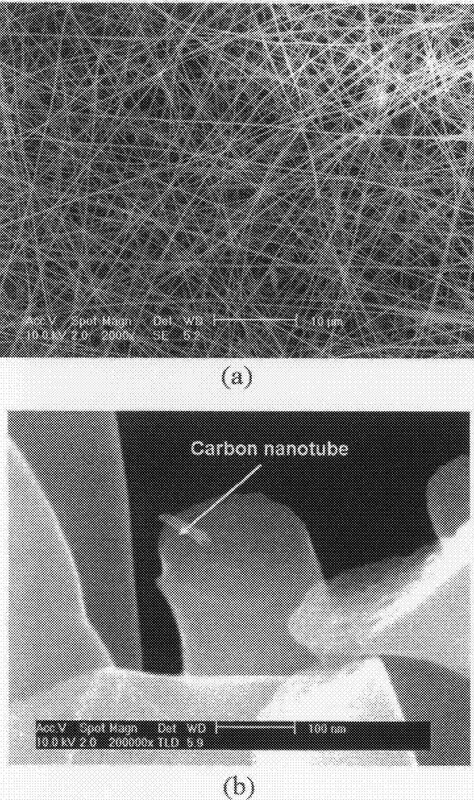 In addition, the porous carbon fibers may be used in a wide range of applications including, for example, fuel cell electrodes as well as electrodes for super capacitors requiring high specific surface area and high electric conductivity, thereby exhibiting considerably improved industrial applicability. The method for fabrication of porous carbon fibers includes : (a) processing starch to prepare a gelled starch solution; (b) adding organic acid to the gelled starch solution to prepare a starch solution; (c) dissolving carbon nanotubes in a solvent and adding fiber formable polymer thereto to prepare a carbon nanotube/fiber formable polymer solution; (d) mixing the starch solution of step (b) with the carbon nanotube/fiber formable polymer solution of step (c) to prepare a carbon nanotube/starch/fiber formable polymer solution; (e) electro-spinning or wet-state spinning the prepared carbon nanotube/starch/fiber formable polymer solution to produce starch composite fibers; and (f) oxidation heating the starch composite fibers, then, executing carbonization and vacuum heat treatment of the heated fibers, so as to fabricate the porous carbon fibers. FIG. 2A is a scanning electron microscopic (SEM) photograph of starch composite fibers. FIG. 2B is an enlarged SEM photograph of one of the starch composite fibers shown in FIG. 2A.